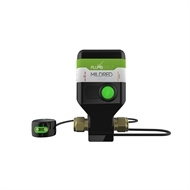 The Plumbspec Mildred Valve® is a Watermark approved, water leak-sensing automated shut-off valve for internally installed hot water systems. Engineered in Australia to meet the requirements of AS/NZS 3500.4:2018 and WMTS-476:2016, the Plumbspec Mildred Valve® is a leak protection device fitted adjacent to the cold water inlet and upstream of any expansion control valve. As soon as it detects a leak the Plumbspec Mildred Valve instantly and automatically shuts off water supply to aid in protection against damage from leaking water. Plumbspec Mildred Valve's are made in Brisbane (Queensland), Australia and if not available in store will be shipped next day.